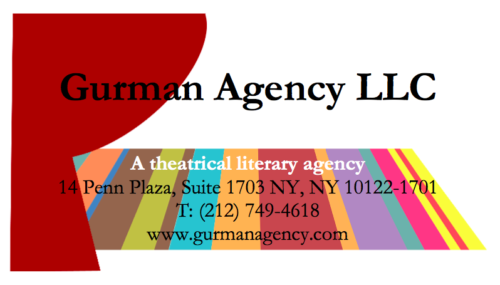 Gurman Agency LLC is a theatrical literary agency representing playwrights, composers, lyricists, directors, designers around the world, as well as complete shows like THE WIZ. The Agency also represents Scholastic books for stage adaptation as well as several other literary agencies. We represent the artist and advocate for them as well as market their work, their crafts, their minds. Most importantly, we advocate for their rights as artists and human beings. We promote and advise our clients. Every client deserves unconditional support and we aim to provide just that. All clients are by referral only.